Triple Tour de France winner Greg LeMond is recovering in hospital after a car accident close to his home in Minnesota yesterday. The American former pro crashed en route to a dental appointment in nearby Wayzata and injured his back. He has no memory of the crash. “We don’t really know what happened, but there were about 400 accidents here this weekend. The roads have been terrible due to the icy conditions,” his wife Kathy LeMond told VeloNation today. The 51 year old is being treated in a local hospital but is expected to be released this week. He suffered a compression fracture in his back and will be in a brace for three months. He is expected to make a full recovery from that. “He is going to be in the hospital for another day or two but other than the pain in his back, he is in good shape,” said Kathy LeMond. 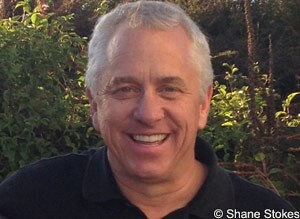 In addition to taking the 1986, 1989 and 1990 Tours de France, LeMond was world road race champion in 1983 and 1989. He highlighted his ability early on by winning the Critérium du Dauphiné Libéré at just 21 years of age and taking his first worlds title at 22.